Therapy Dog Harnesses There are 6 products. 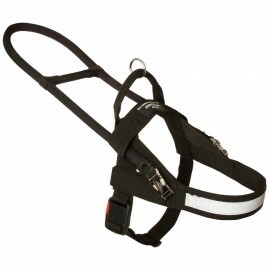 Maximum functional nylon dog harness for Labrador walking, training and work in all weather. Extra strong, light-weighted and water-resistant. Velcro patches will help to identify your dog's activities. 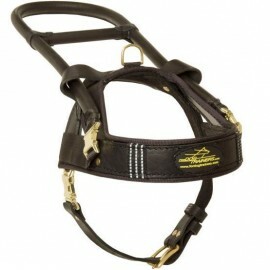 Leather dog harness for guide Labrador. Maximum comfortable for the dog and super convenient for the handler. Strong and hardwearing. 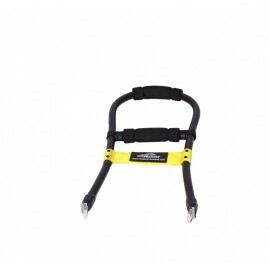 All metal details are welded for additional durability. 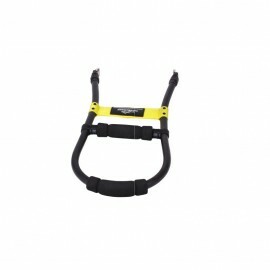 Removable handle-frame covered with leather. Velcro sign patches. Reflective strap makes the dog visible in the dark. Intended for safe walks. 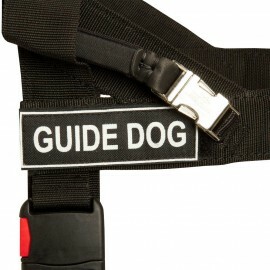 Guide harness for safety and comfort of the dog and the handler. 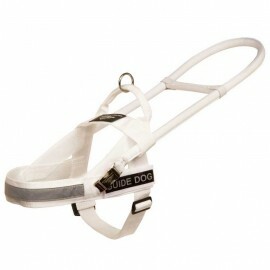 Super strong and convenient nylon dog harness with short back handle and removable nylon covered long metal handle. Ultrastrong rustproof nickel-plated hardware. 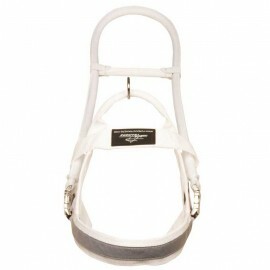 Reflective strap for extra safety in the dark. 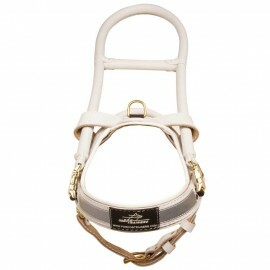 Exceptionally reliable harness for guide Labrador. 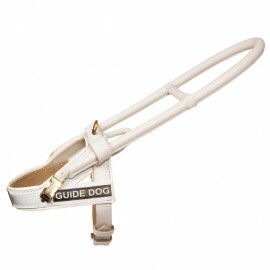 White leather harness of special purpose for guide Labrador Retriever. Perfectly processed. Super comfortable and very convenient. Equipped with luxury brass hardware. Has Velcro patches for identification. 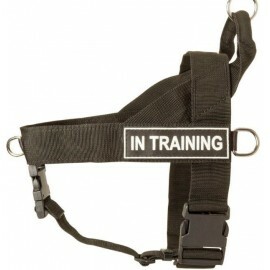 Three reflective stripes on the front chest strap. Leather covered steel handle and removable handle-frame. Handy buckle. 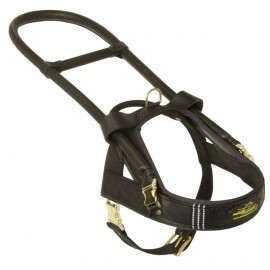 Adjustable girth.